Fly with local, friendly, ALOHA filled pilots and see the island of Oahu. At 808 AIRMEN you will be treated with ALOHA from start to finish. We treat our guest like family and wish for you to have the experiene of a life time! You will get to see all the major attractions of Oahu and do it in style. P.S ASK ABOUT DOORS OFF!!! We start off with a saftey briefing, then load the aircraft. We take off and start the tour with Honolulu Harbor. Next we see Ala Moana, Waikiki and Diamond head. After Diamond head we either continue around the island for the 60 min tour or head back inland to see the valleys and punch bowl. It is difficult to put into words the beauty of the islands so we encourage you to visit our website for an image tour of the highlights of the tour. 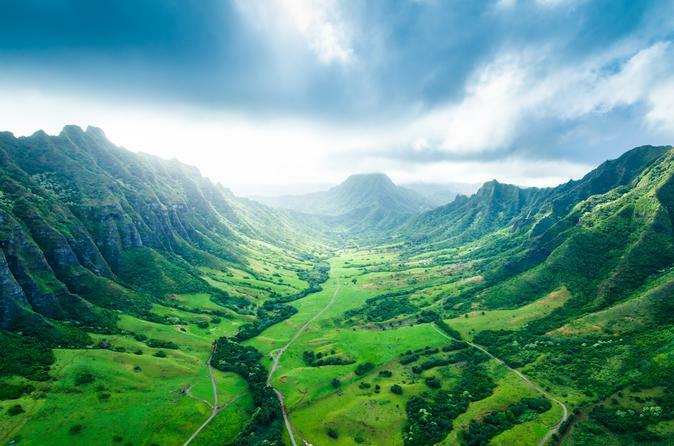 If you haven't seen Hawaii from a chopper, you should join us because the experience will change your life!